Duke University bailed on an effort to highlight the religious diversity of its student body Thursday, when it withdrew a plan to have the university’s Muslim students sound the Friday call to prayer from the campus chapel. The move came after several prominent American Christian leaders had spearheaded an effort to get the decision overturned, and cried that Duke was marginalizing Christians while advancing other faiths. Unfortunately, the threats worked. The university was reportedly inundated by calls and emails. Islam calls for a communal prayer at midday Friday, on top of the regular daily five-prayer cycle. Like services in other faiths, the Friday prayer includes sermons and, often, a social event for parishioners afterwards. About 5 percent of Duke’s student body self-identifies as Muslim, according to the University’s press release. 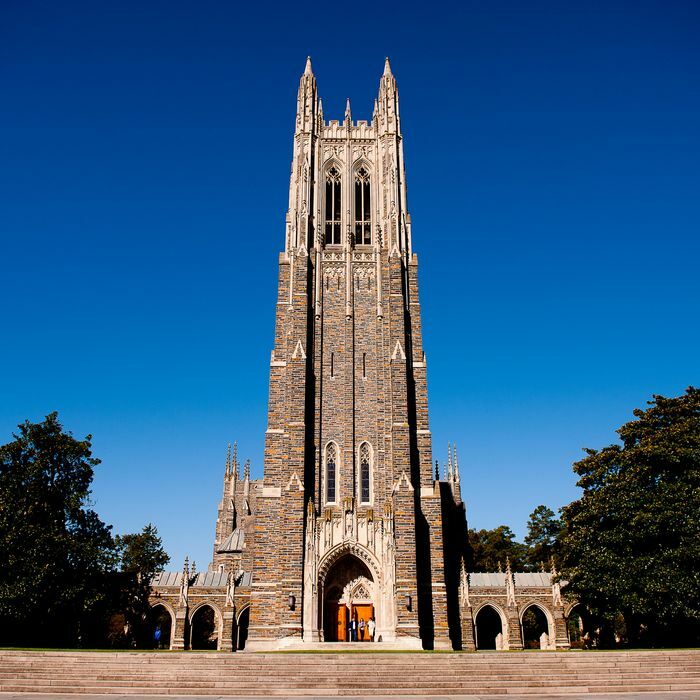 Duke’s initial proposal would have let Muslim students chant the call to prayer from the chapel’s tower for about three minutes each week, and pray inside the chapel. The call to prayer, or adhan, includes an affirmation of the Muslim belief in God, and tells Muslims to “hasten to worship.” Instead of doing that, Muslim students will now pray in an outdoor quad outside the chapel, which may still be an upgrade from the basement-level prayer room they occupied before. This isn’t the first time America’s elite universities have run into conflicts between their Christian history and the increasingly religiously diverse student bodies of the last several decades. The College of William and Mary faced a similar issue a decade ago, when newly installed university president Gene Nichol decided to remove the cross on the altar of the college’s Wren Chapel. (Christian groups would have still been able to bring it out for their worship services.) The move was meant to make the chapel space more welcoming to students of all faiths, but Nichol faced a swift backlash. Within a year, a university committee recommended that the cross be returned to the chapel. Nichol resigned in 2008, after the shortest presidency at the college in more than a century.